LED Light therapy is an advanced technology in the field of skin treatments which is gaining popularity at a rapid pace. Though there are various anti-aging or acne treatments in the market offering the same advantages, this is a very unique form of skin care treatment which gives it an edge over others. Skin care light treatments do not use a UV lamp for the therapy. Professionals use a much more advanced form of technology to treat the skin problems: Light Emitting Diodes. LED light therapy uses different colors of light emitting diodes that stimulate the cells in your skin. Different forms of light colors are used for treating different skin problems. For instance, the red light is the most widely used form which can treat wrinkles, fine lines and sunburn. After receiving this treatment, your skin will be more elastic, supple, and soft. On the other hand, the blue light is mainly used for treating acne and pimples. 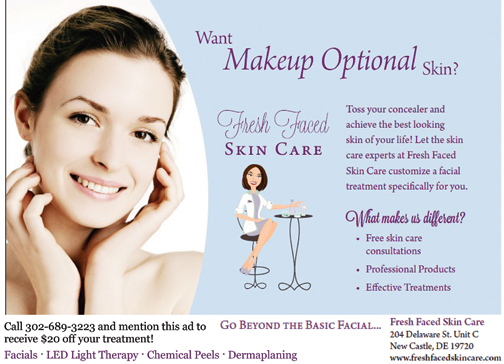 Fresh Faced Skin Care offers a variety of LED light therapy treatments, starting at $35. “I’ve been to this business two times. I have had a wonderful experience both times. This is so much better than a spa. 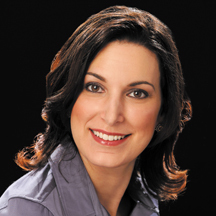 You receive personalized attention from Erica and tailored treatment to your needs. I have had facials both times. Extremely relaxing. Also, she gives a wonderful hand massage. If you try it once you’ll go back again.” ~ Sharon R.
“Convenient and private facilities which encourage relaxation. Very personalized and knowledgeable attention by staff. Will definitely be returning in the future!” ~ Valarie Z. ← Previous Story Solely Devoted to Veins!